We render services related to issuance of patents for inventions, utility models and industrial designs, as well as issuance of Certificates of registration of trademarks and geographical indications. We assist our clients with their rights protection before the Ukrainian Courts of all jurisdictions and provide expert support for patent, design and trademark litigation. Our key services are infringements, invalidation actions, appeals, IP investigation, anti-counterfeit projects. It is impossible to imagine a full range of intellectual property services without our client’s IP portfolio management. The property is assigned, licenses are granted, companies change their names, corporations are merged. We assist our clients to keep in order the largest portfolio. We watch the terms of renewals and maintenance in force. Also, we provide translation and correction services of patent specifications. We suppose it is not necessary to talk once more about domain names and their importance in the twenty-first century. Our experience in the field of protection of intellectual property rights in the network gives us the basis to highlight these services in a separate segment. Koval & Partners is an intellectual property boutique firm. We focus exclusively on protecting our clients’ intellectual property assets. Our expertise is in creating, managing and enforcing patent and trademark portfolios, and resolving complex litigation matters. Our team provides highest-quality patent, design and trademark services to domestic and foreign clients in Ukraine, CIS countries, the EU countries, USA and other countries across world. We provide assistance in cases in the Ukrainian Courts of all jurisdictions as well as expert support for patent, design and trademark litigation. We also provide support regarding various aspects of IP rights, such as: copyright, know-how, domain names, enforcement of intellectual property rights, anti-piracy & anti-counterfeiting actions, and intellectual property search (such as patent and trademark searches). Our core objectives are to guarantee full attention to clients’ needs, high-quality services and the punctuality and reliability of our work. Security and confidentiality are essential parts of our ethical code of conduct. You can be assured that all your information will be treated as strictly confidential. And finally, we are really passionate about our work! It is our pride and pleasure to work in this area of law. Patent & Law firm “Koval & Partners” is a Ukrainian company specializing in protection and registration of all types of intellectual property. “Koval & Partners” represents its clients’ interests in Ukraine and in more than 50 countries worldwide including CIS, Baltic States, Europe and the USA. Company’s patent attorneys and lawyers have extensive experience in protecting intellectual property rights since 2003 year. 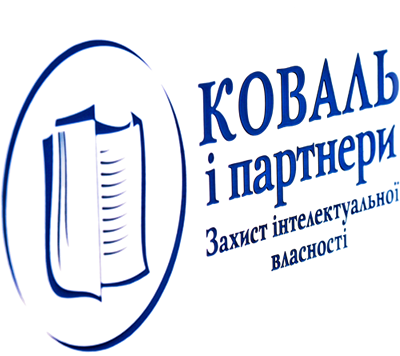 Based on our extensive collaboration with patent attorneys from different countries and experience of dealing with leading foreign companies, many big international and Ukrainian companies entrust “Koval & Partners” with the function of protecting their intellectual property rights in Ukraine and abroad. Attorneys and advocates of the company “Koval & Partners” are members of several ukrainian and international organizations.